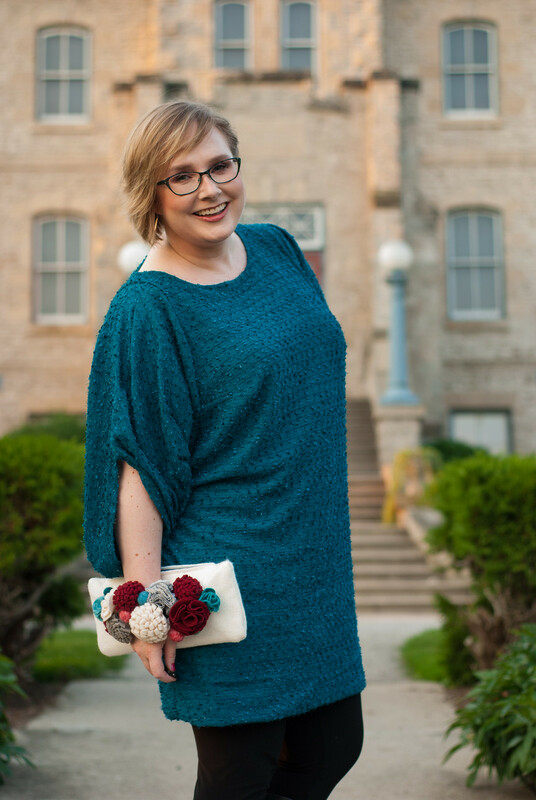 Lots of things snuck past me while I was dealing with my concussion… including tell you all that I was featured in Sewn Magazine! 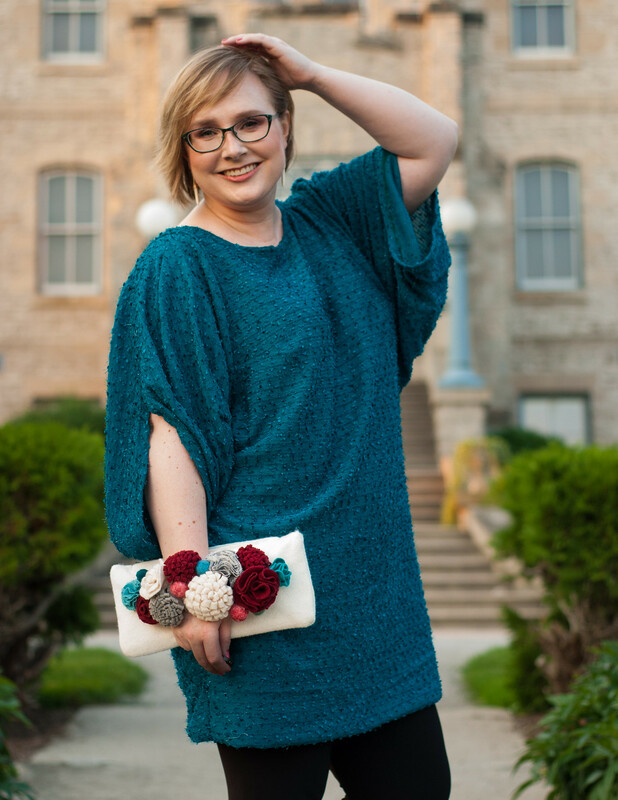 It is such an honour to be asked to contribute – you might remember that I raved about how fresh and inspiring I find Sewn this past summer, and it’s been encouraging me to have a bolder wardrobe. Of course, when Michelle (@thatblackchic) asked me if I’d like to contribute a winter party look, the first thing I thought was, “What am I going to make that is worthy?” Luckily Michelle gave me permission to go as casual and comfy as I wanted… and then Doctor T posted her Burda pattern review, and I saw this pattern… and this dress was born! 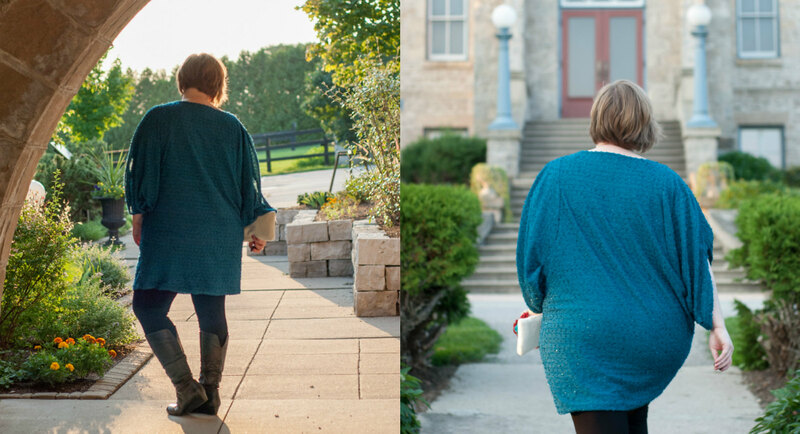 I accidentally ended up making it in the same teal colour as shown by Burda… but why not? It’s one of my favourite colours. Voila! It’s me, sharing about the Sewcialists! I remember that as I wrote this in August, we had just hit 10 000 followers on IG… and I nervously predicted in my article that we’d be at 15 000 by time the issue came out in November. Well, we are going to hit 20 000 in the next week or two! It totally blows my mind, and I am thrilled that so many people are interested in joining our community and following our discussions about inclusion in sewing! Like I said, I sewed this in August… which means I photographed it in over 30c weather! Lemme tell you, I was “glowing” hard! I wanted to pick a background that was seasonless, so that it fit into the winter issue. I went to a county museum 30 minutes away, and caught the beautiful golden hour light! I have to say, I feel beautiful in these pictures! There’s always some magic behind the scenes though, so I thought I would share what went into getting a few good pics! Step 1: Take pictures in a lot of locations! I always shoot with a tripod, so i have no idea how things are coming out while I’m posing. Will the light work? Is the framing good where I’m standing? What weird random things are in frame with me? Step 2: Try lots of poses! This was a really tricky dress to show in pictures! 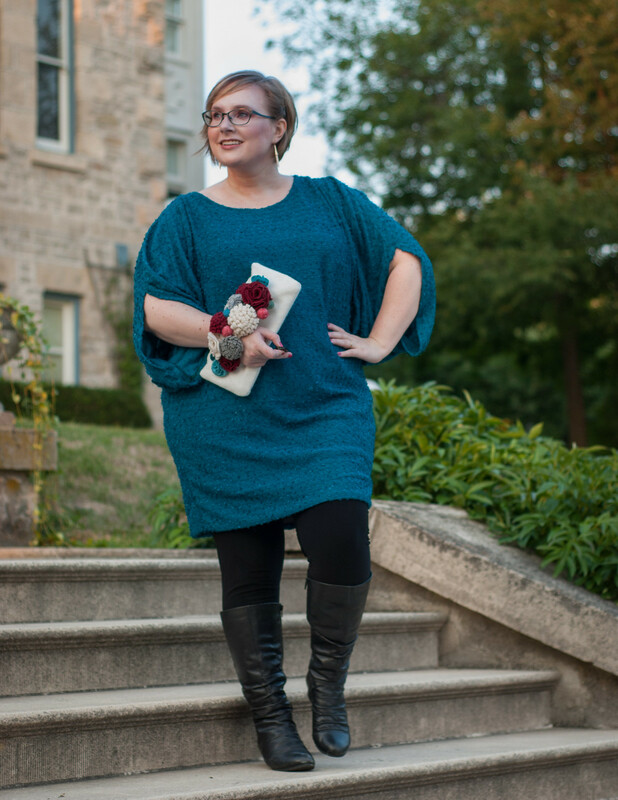 I actually practiced in front of a mirror to see what would show off the sleeves, and give the photo some interesting angles… otherwise it’s just a boxy tunic with nondescript sleeves! I took 30-50 pictures in each location, standing nearer or further from the camera, trying angles, expressions etc! In the end I had about 300 photos of one dress – and only these two pictures of the back, cause that was never going to be what I submitted to the magazine! Step 3: Edit! I’ve shared my love of Lightroom before – it’s great to be able to tweak colours and light quite a bit without losing quality! In the photo above on the left, you can see how the pics came out of my camera – fine, but washed out. Change a few settings, and everything pops! Oh and the clutch? I made it from felt and stuck some cardboard inside to keep it stiff! The flowers come from one a wreath I made for my earliest blog posts (flashback to December 2011, back when I blogged on Tumblr!). I wanted something to make the clutch more interesting, so I cut off the flower section in one piece and hand sewed it on! And that’s it! If you haven’t tried an issue of Sewn yet, I really think it’s worthwhile. There have been so many conversations in our sewing community about representation for all sizes, ages and skin colours… and Sewn includes all of those in every issue! Plus, now I’ve got a fun dress to wear… and a growing love of Burda! I thought the photos must have been professionally done! Wow Gillian! Gorgeous!